One of the biggest gifts of technology is automation. Why should we have to do a mundane task when we can set it up to happen automatically? 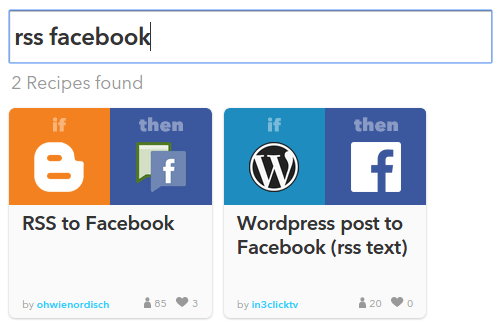 IFTTT allows us to auto post to Facebook and most social media, and that barely scratches the surface of the service's capabilities. 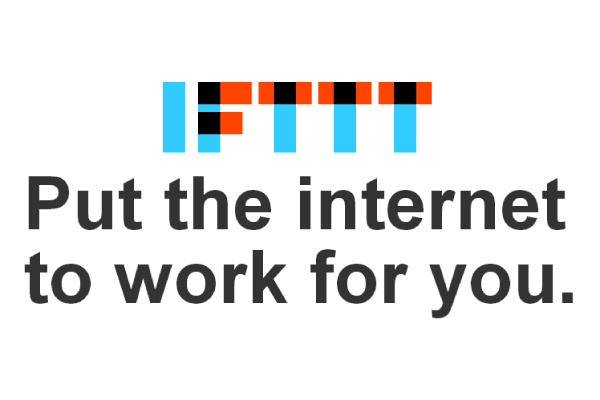 IFTTT stands for "If This, Then That", pronounced like "gift" minus the hard "g-". It is a service that allows us to create simple web automation tasks. Those tasks can include anything from auto post to Facebook to receiving an email whenever there is a particular weather forecast for tomorrow. 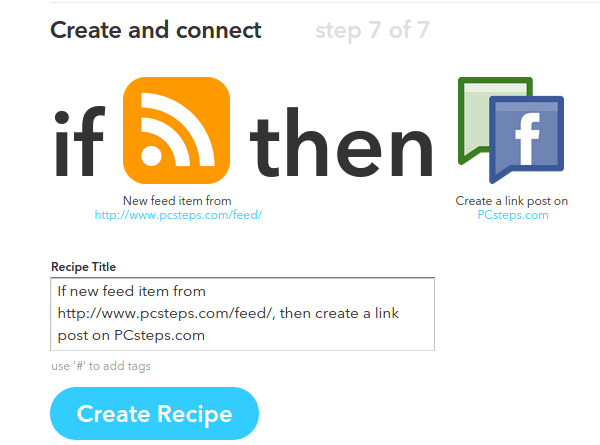 To use IFTTT, we need to create a free account. 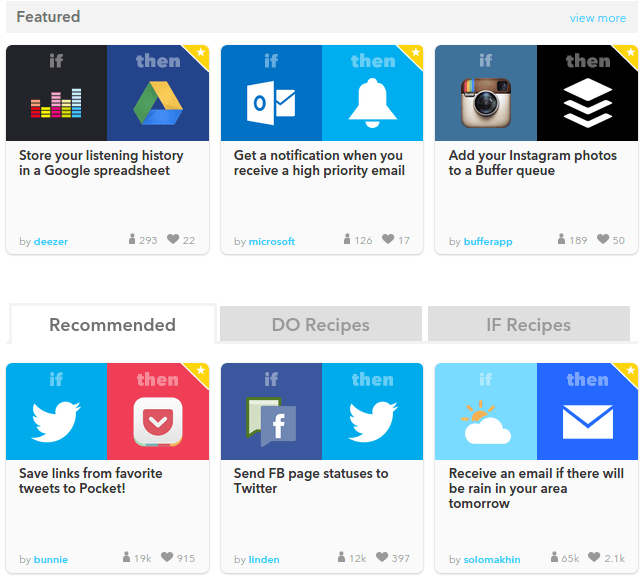 The creators of IFTTT have made everything on the site huge. 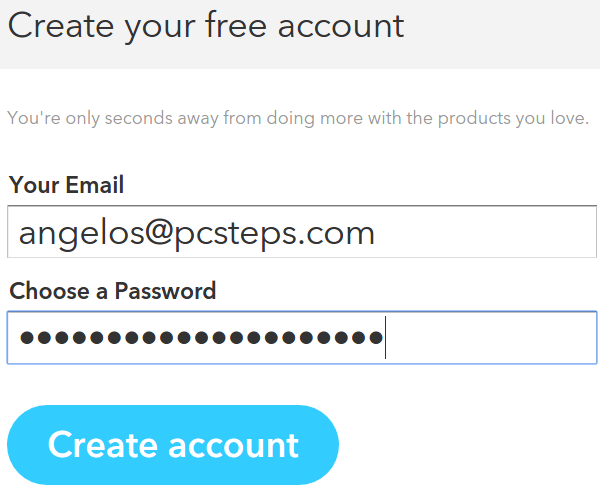 To sign up, we just need to specify a valid email address and choose a password. The site won't ask as to retype the password to confirm we got it right, so if you aren't using a password manager, try not to make any mistakes on this first password. After we sign up, we are greeted with a simple tutorial. 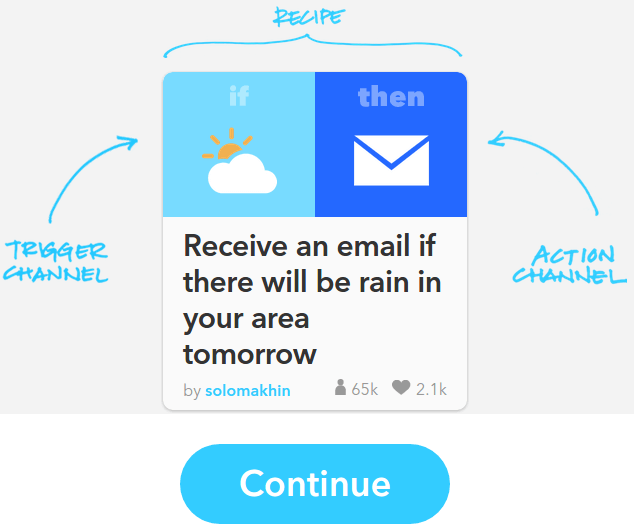 This tutorial will mock up an IFTTT "Recipe" which would send us an email whenever tomorrow's forecast calls for rain. 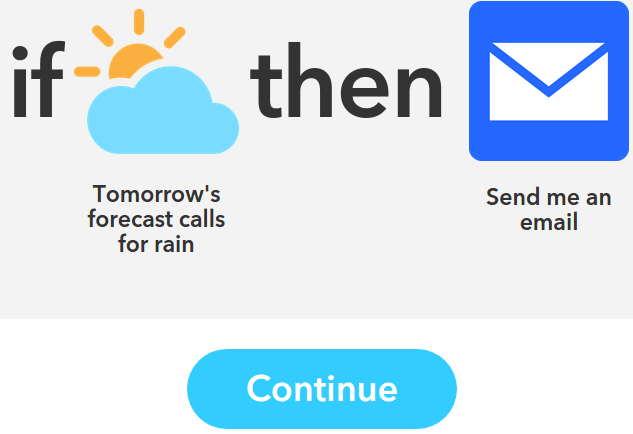 In that example, the forecast checking service is known as the "trigger channel", and the sending of the email is known as the "action channel". Both channels together make a "Recipe". 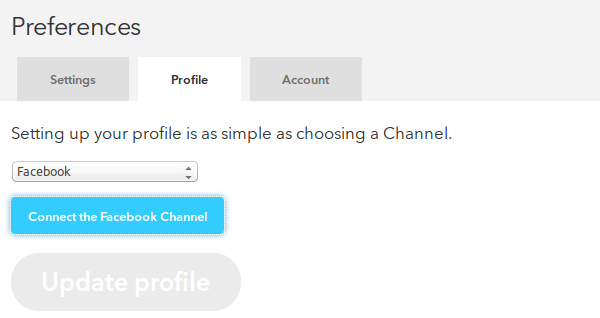 After the tutorial, IFTTT will ask us to select three channels that interest us, such as social media where we have an account or websites we frequent. Based on our selections, the site will show us some ready-made recipes. If we are interested in something specific, like how to auto post to Facebook, we could search for ready recipes. However, where's the fun in that? Let's create a recipe of our own. 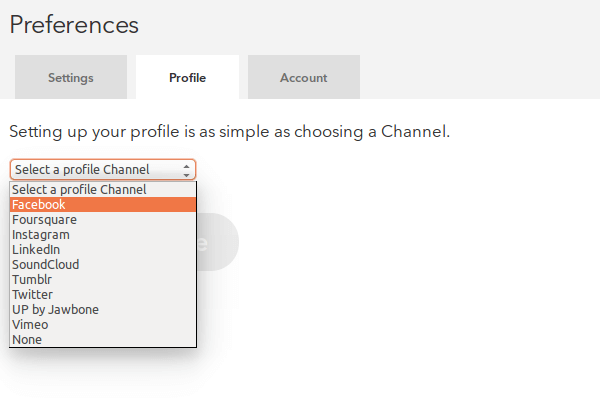 First things first, we need to click on our Username on the upper right-hand corner and select Preferences. ...and then select "Connect the Facebook Channel". Creating recipes for anything is simple. 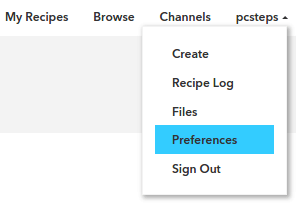 We just click on "My Recipes" and "Create a Recipe". Provided we want to auto post to Facebook from a website, the Trigger channel should be an RSS Feed. We can either select the trigger to be any new item or an item that matches a specific keyword. Then, we add the website's RSS feed. 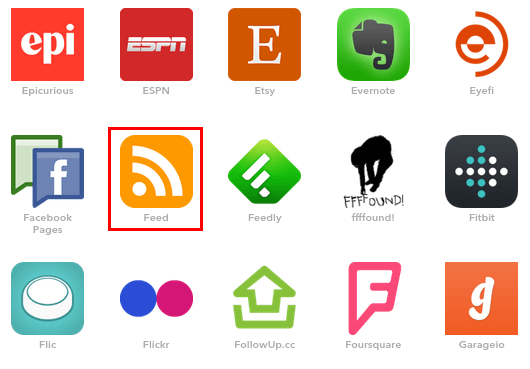 It is the link behind the orange RSS icon on the website. After we selected the "This", it's time for the "That". To auto post to Facebook in our profile, we select the Facebook action channel. The best option is the "Create a link post". 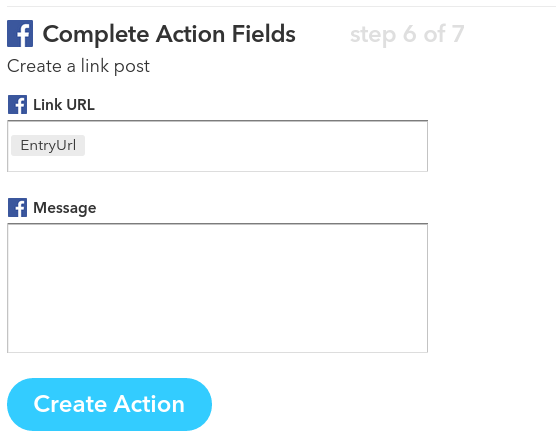 If we write something in the message field, it will be posted, the same text, on every link. We could write something like "Check out our latest post", but we might as well leave it blank. For the seventh and final step, we have an overview of our recipe. If everything is OK, we click on Create Recipe. 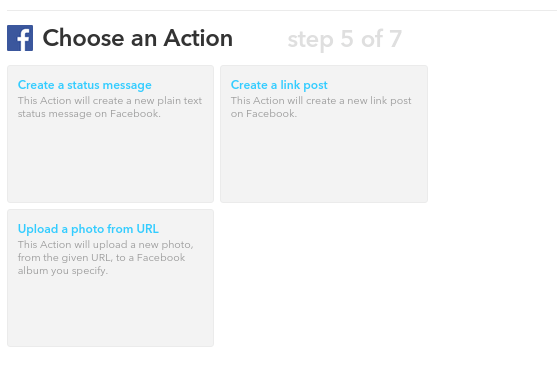 To auto post to Facebook pages, we just select the Facebook Pages action channel. If we want to post from multiple websites on multiple Facebook pages, we need to create a recipe for each site and each page. Facebook groups aren't supported at all as an action channel. 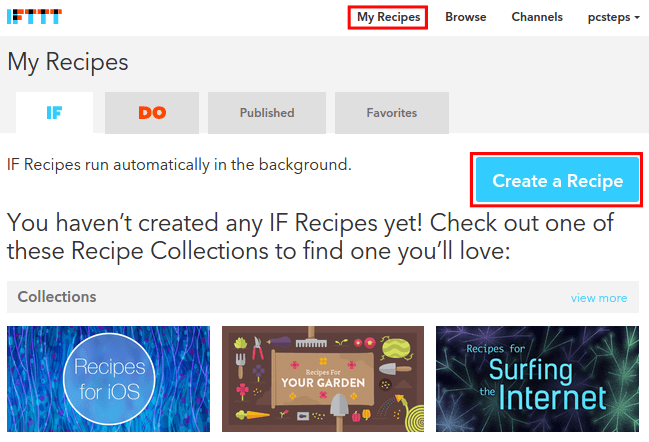 If we want to disable or edit the recipe, we will find it within My Recipes, at the IF tab. 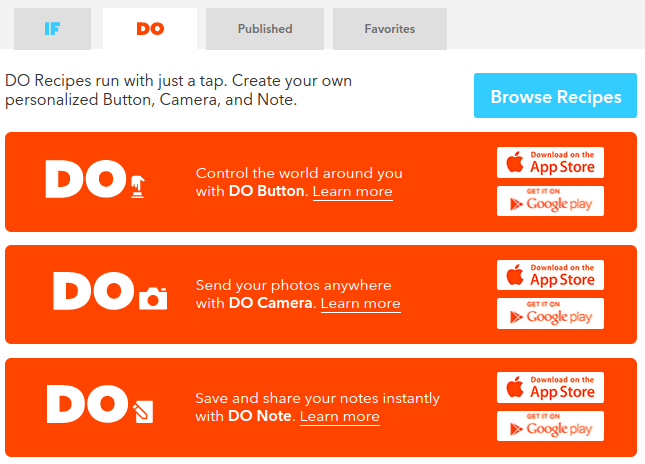 The Do tab allows us to connect recipes to a mobile "Do" button, which we will cover in detail in a separate guide. 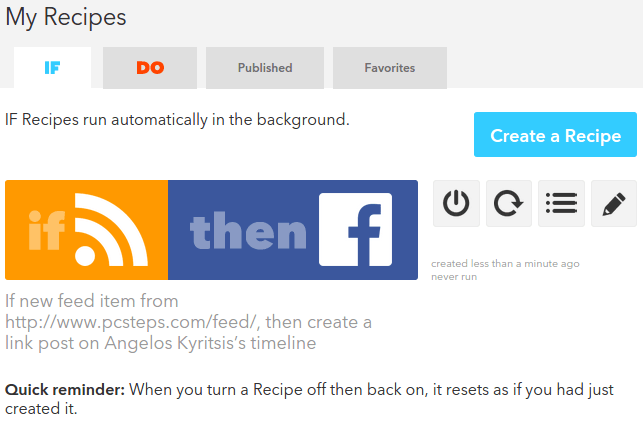 On the "Published" tab, we can select to release any of our recipes to the other IFTTT users, for their benefit. Many services allow us to auto post to Facebook, and other social media, such as Buffer or Hootsuite. 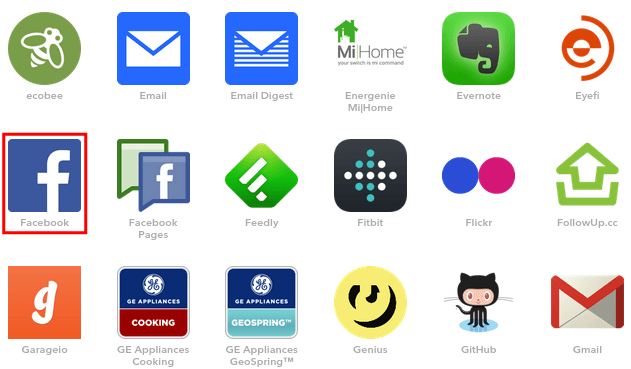 But IFTTT is charmingly simple, and it can automate much more than just our posting schedule. 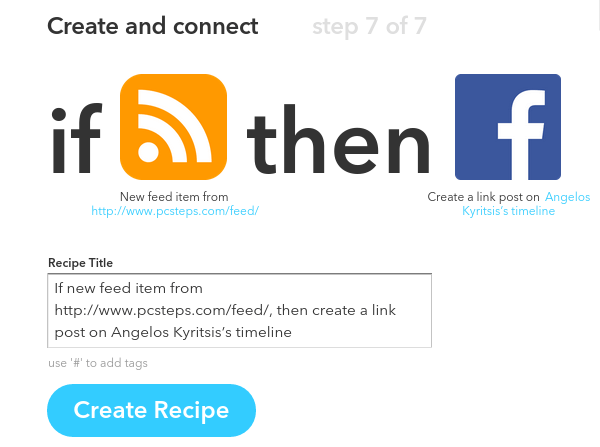 Will you be using IFTTT to auto post to Facebook? Do you have any other automation task you want to set up? Did you create a recipe you are proud of? Leave us a comment. Thanks Angelos. I try to move to IFTTT after Dlvr.it force me to use photo post.